Another quick a easy raw vegan treat today. 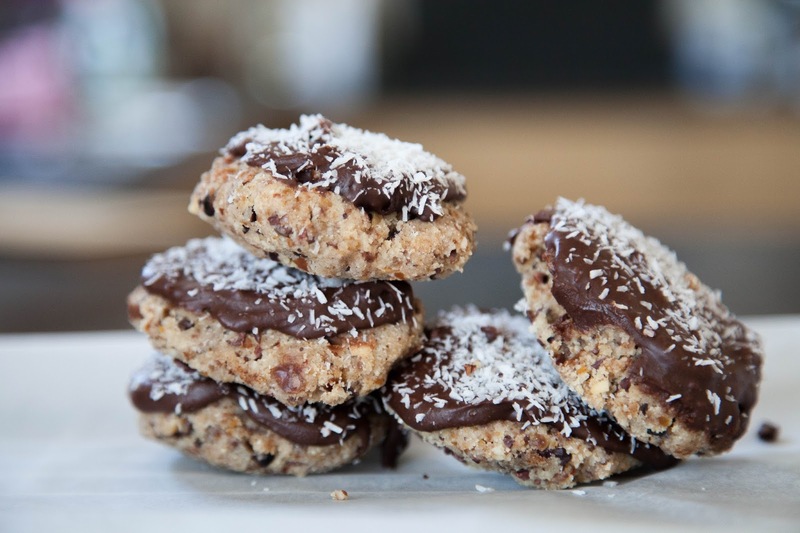 This time it is raw cookies topped with raw ecstasy chocolate spread. -In a food processor place all the ingredients apart from the chocolate spread and process until a dough is formed. -Separate the mixture into 6 pieces and mould to create a cookie shape.